Whole chicken that has been seasoned and smoked is a wondrous thing. I started with a whole organic free range chicken from Petaluma Poultry (their "Rocky" brand). 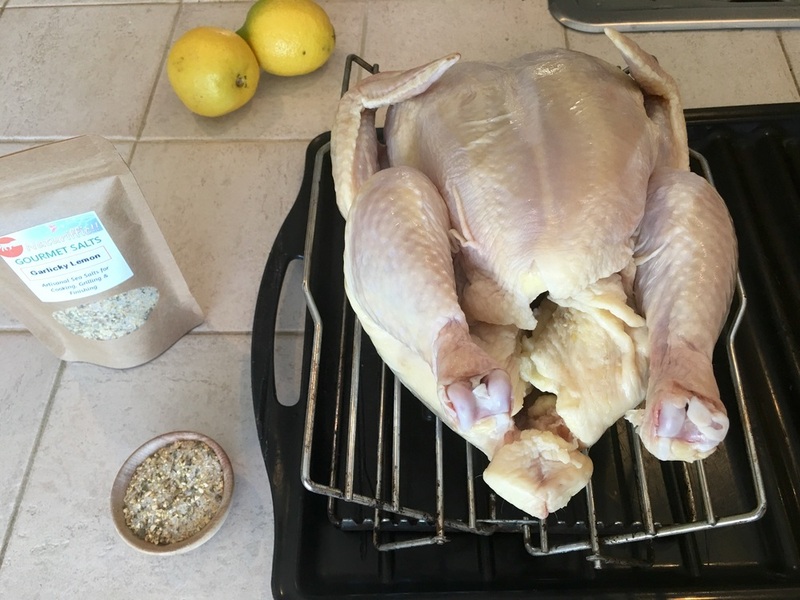 I then seasoned liberally with Naturiffic's Garlicky Lemon Gourmet Salt (other than smoke, there was not anything else used on this chicken) and it was ready to go to the grill. Once I had it well seasoned it was time to get the grill ready. I have a Weber Perfomer with the interchangeable grill insets. With this set up, I set the charcoal baskets on the sides and place the small insert grate directly on the baskets. This lowers the grate enough that I can stand the chicken up in the Weber (beer can chicken style). I tossed a small handful of cherry wood chunks in the bottom of each charcoal basket and added the charcoal (started in the chimney and placed a foil pan full of water on the top grate. Time to put the chicken on. 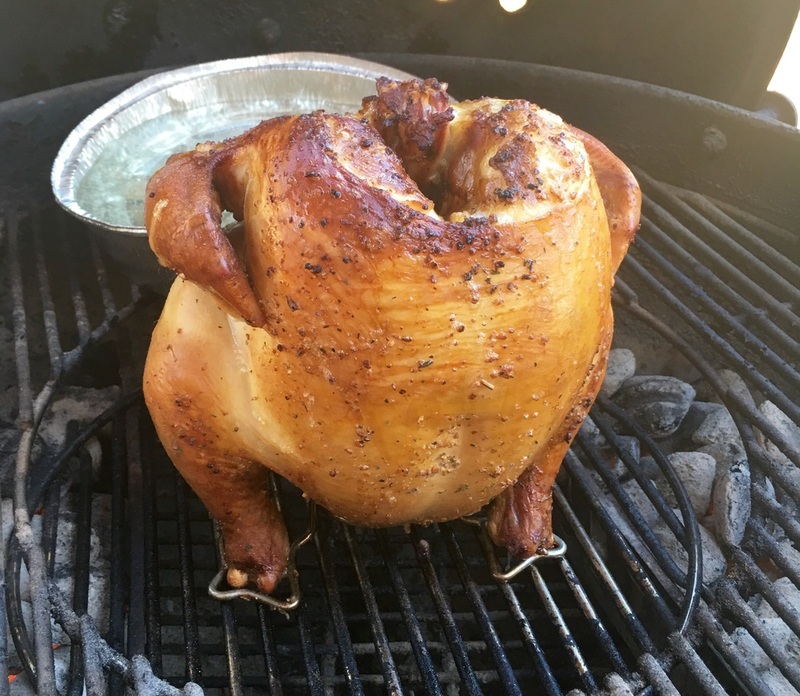 The chicken cooked between 375F - 400F for 1.5 hours. Progress photo. This gives a good view of the set up. Served it with Parmesan Broccoli (also seasoned with Garlicky Lemon Salt) and macaroni salad. This was very good, the skin was crispy and the meat was juicy and tender.